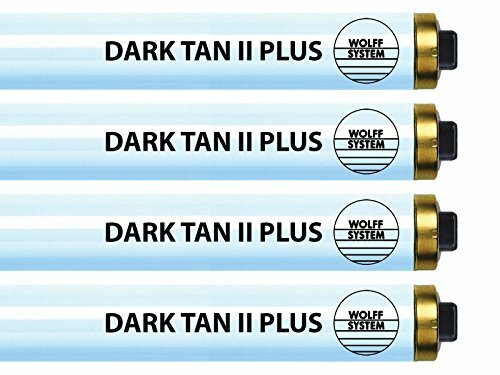 Dark Tan is a power-packed economical product from Wolff System. With Enhanced UVB for shorter session times this is a great upgrade for many home units. Good fit for Sundash, Puretan, Tan America & some Montego Bay units. (A) "Contraindication: This product is contraindicated for use on persons under the age of 18 years." (B) "Contraindication: This product must not be used if skin lesions or open wounds are present." (C) "Warning: This product should not be used on individuals who have had skin cancer or have a family history of skin cancer." (D) "Warning: Persons repeatedly exposed to UV radiation should be regularly evaluated for skin cancer." Economical Upgrade Replacement for many popular sun beds. If you have any questions about this product by Dark Tan II, contact us by completing and submitting the form below. If you are looking for a specif part number, please include it with your message.